Single needle, plain feed, flat bed, two thread, double locked chain stitch machine for seaming and hemming heavy weight polypropylene bags. Equipped to feed filler cord on both sides of fabric. Single needle, plain feed, double thread overlock machine for overseaming medium and heavy polypropylene bags. Uses up to 9000 denier sewing yarn. Two needle, four thread, lower feed machine with synchronized upper feed produces two parallel seams, 6mm apart. Suitable for seaming and sub assembly of bag components. Equipped to feed filler cord on both sides of fabric. Optional middle filler cord attachment. Single needle, plain feed with upper feed, two thread, double locked, flatbed, chain stitch machine. For seaming and hemming of extra heavy weight polypropylene bags. Equipped to feed filler cord on both sides of fabric. Single needle, chain stitch machine for seaming woven polypropylene, paper, cotton and burlap bag. High throw (1 5/16"), maximum 3.5 stitches per inch. 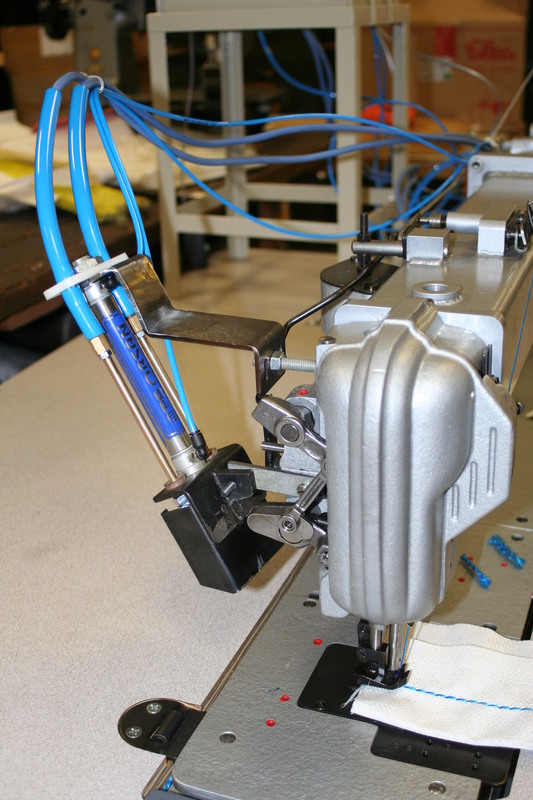 Fully automatic lubrication - 6000 RPM. Electro pneumatic heat cutter for bulk bag sewing. Cuts and seals thread chain and filler cord. 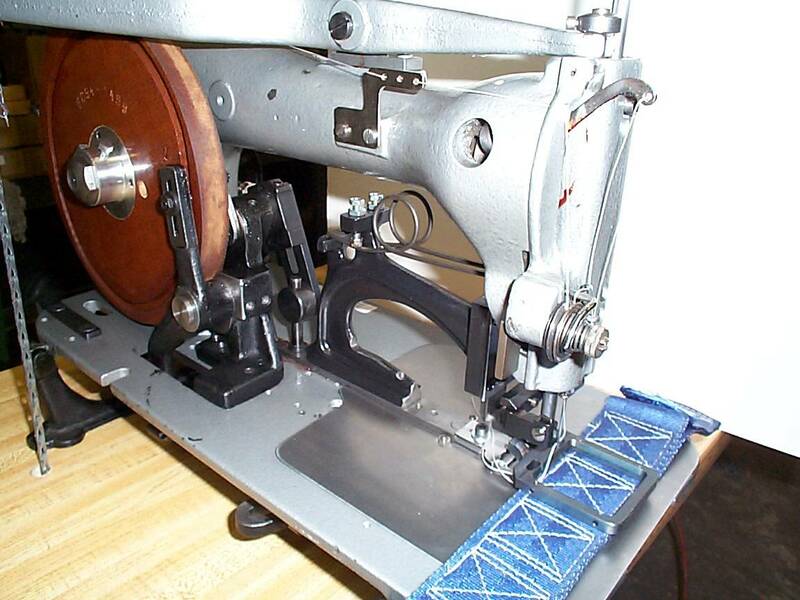 Easily installed on your existing sewing machines, or available as an option on any new machine. 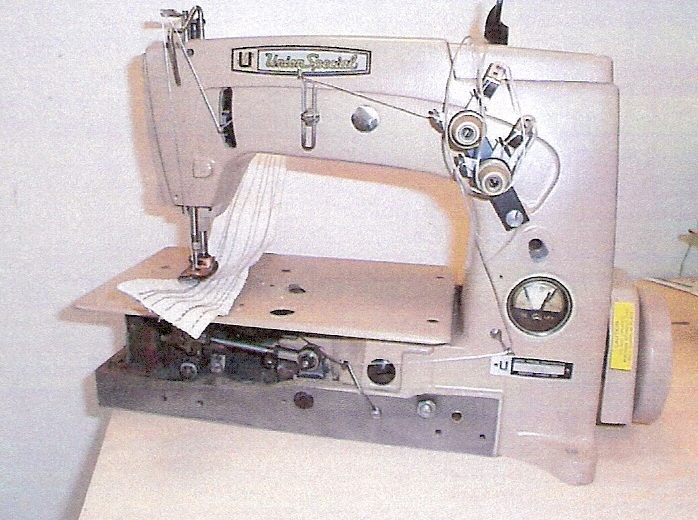 Singer 68 Class converted for heavy duty pattern sewing. Useful for attaching straps and webbing. Cut polypropylene fabric to length and place spout as required. Length and hole cutting devices can be operated seperately. Hole cutting of different sizes easily accomplished by changing cutting device and its' position. Options include variable speed and stacking device. An air flow of 5.000 m³/h is used to reliably clean the FIBC's and to remove any impurities. The air flow conveys the impurities into an easy to clean collection trough.A pressure switch controls the volume flow and a time relay determines the cleaning cycle of the FIBC's , ensuring that alls FIBC's of an order are cleaned with the same intensity. FIBC's with filling spout of different sizes and FIBC's with or without discharge can be cleaned without converting the cleaner. The SK-Highlead GA0688-1BB is specially equipped for sewing and attaching lifting loops and straps onto bulk bags. 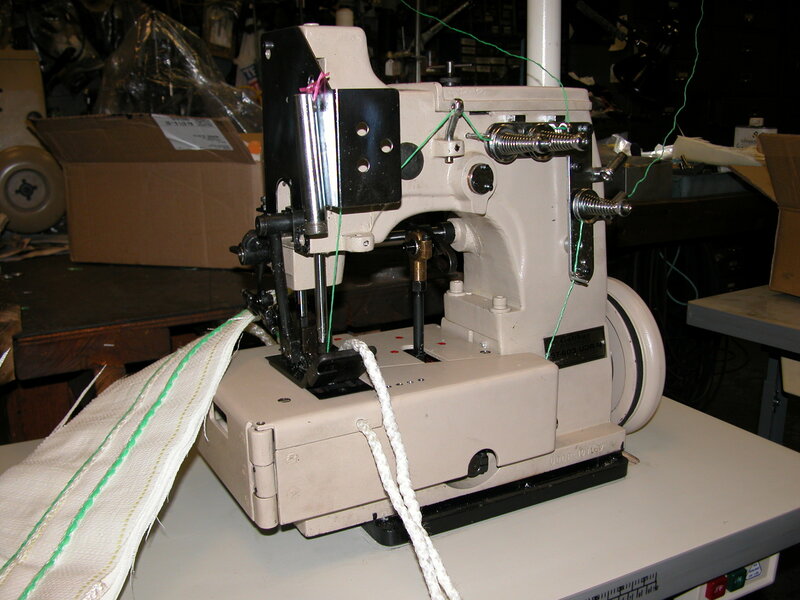 It is equipped with a servo needle positioning motor for reverse sewing and presser foot lift, and a built in pneumatic heat cutter to cut and seal filler cord and sewing threads. 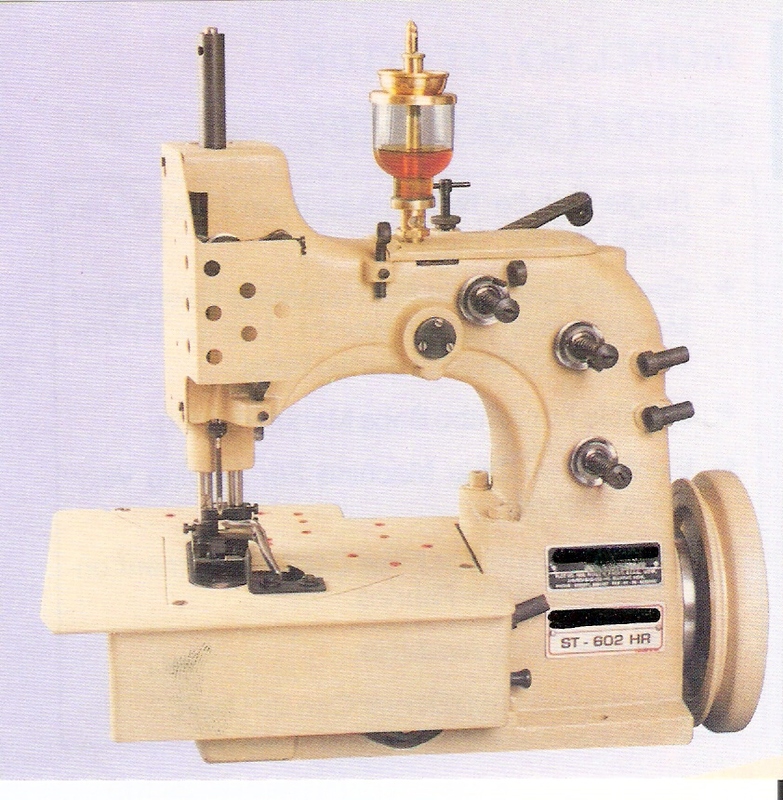 The GA0688-1 is a single needle extra heavy duty lockstitch machine, with a sewing capacity of 20mm.